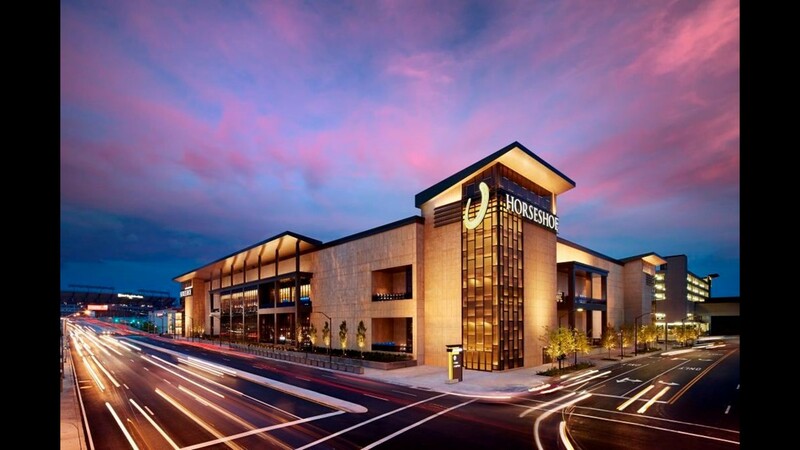 Horseshoe Baltimore boasts three restaurants from celebrity chefs. The casino is located less than two miles from the Inner Harbor. 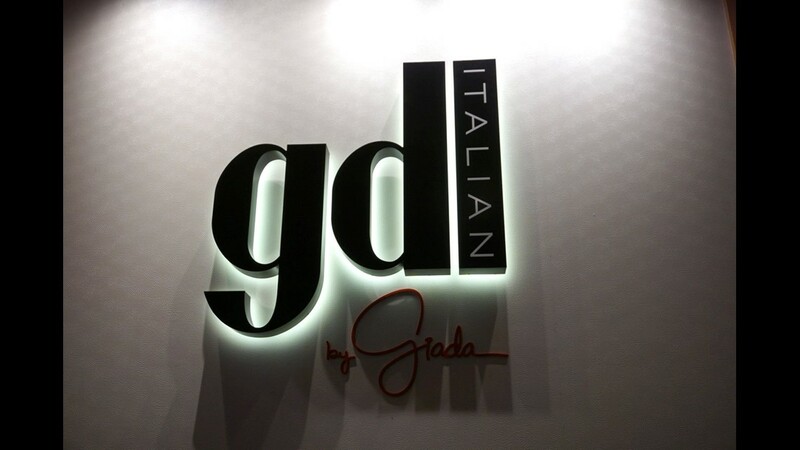 The entrance to GDL Italian features the restaurant’s backlit logo. 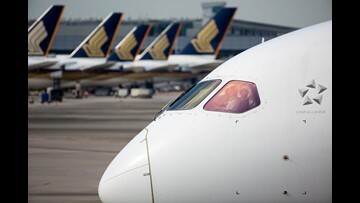 It is open Wednesday through Saturday. 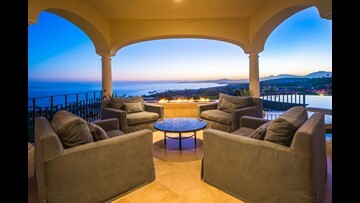 GDL Italian's design features colorful furniture and glass, and corrugated steel and glass lighting of varying heights. 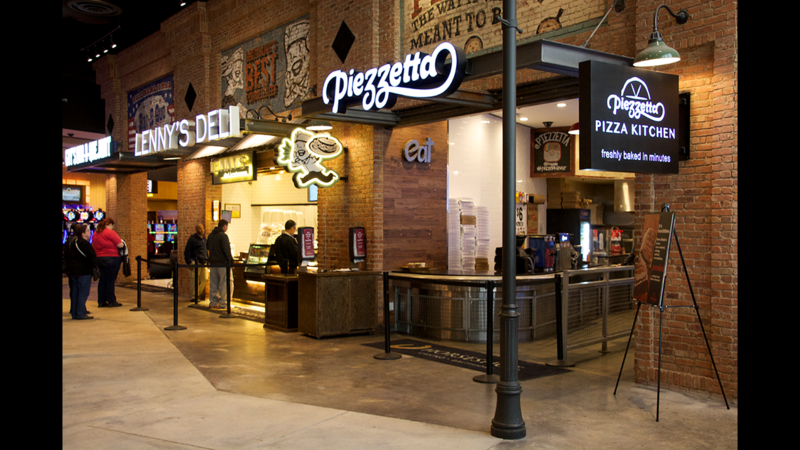 Giada De Laurentiis greets diners in front of the restaurant’s open kitchen. 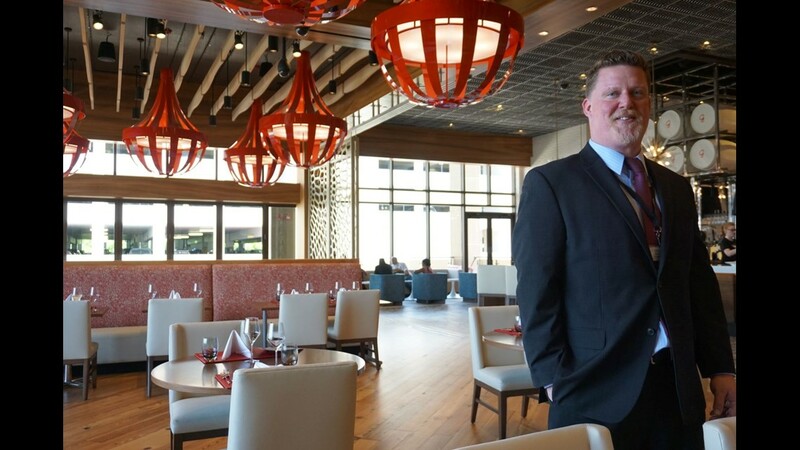 Horseshoe Casino’s VP of food and beverage Jay Lattimer introduces the dining room at newly opened GDL Italian by Giada. 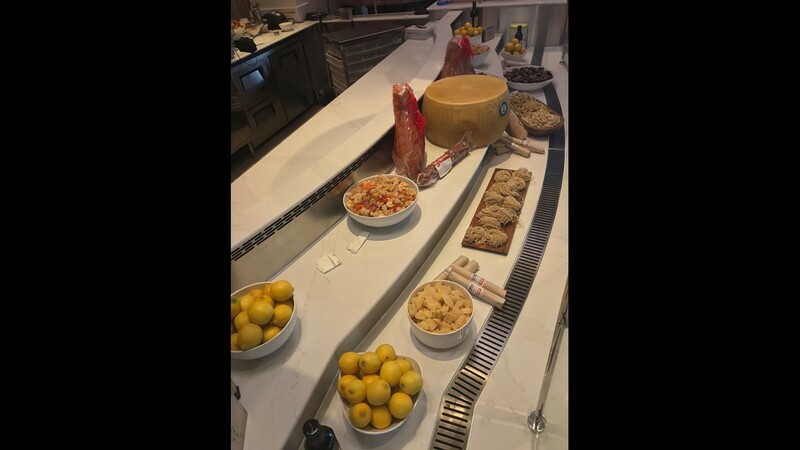 GDL Italian features an antipasti station with meats, olives, marinated vegetables and cheeses. 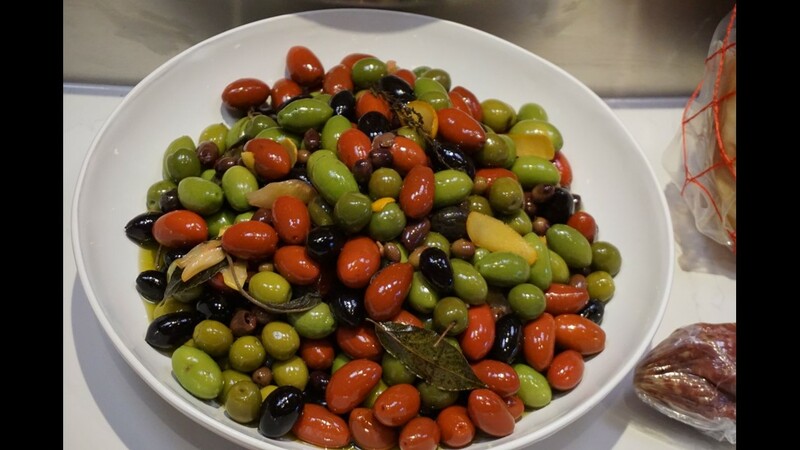 Multicolored olives are offered at the antipasti bar inside GDL Italian. 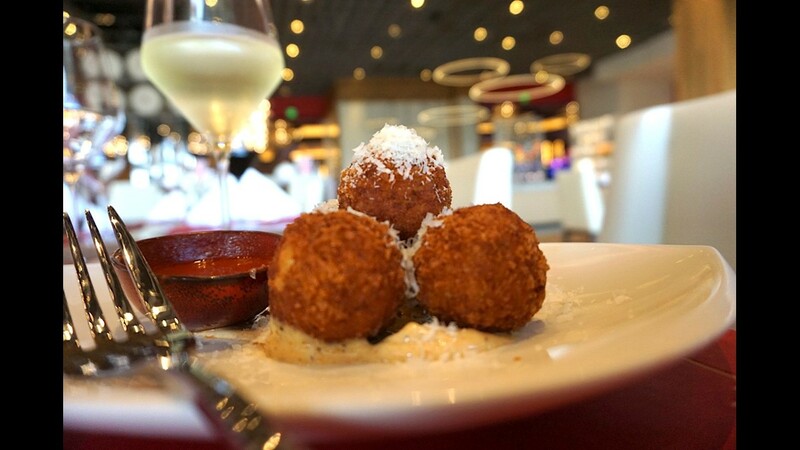 Garlic and parmigiano frittelle (Italian doughnuts) are served as antipasti at GDL Italian. Giada De Laurentiis shows off the Marra Forni pizza oven, made by a company in Beltsville, Md. 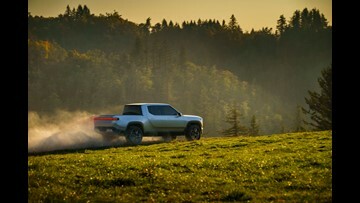 It heats the pizzas at 700 degrees. 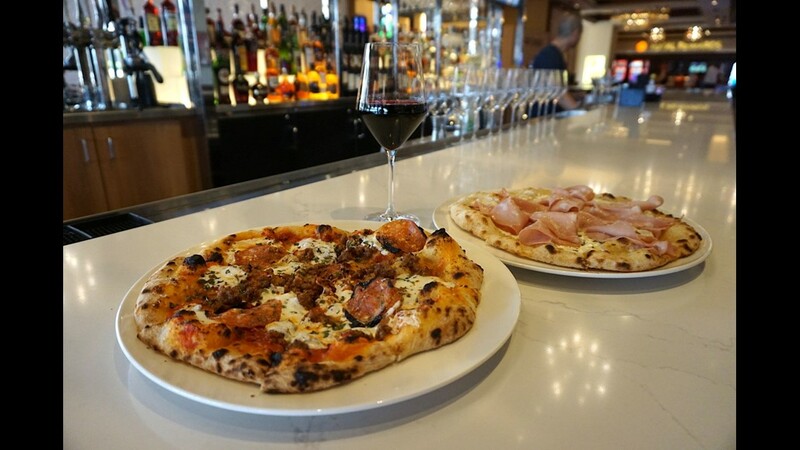 GDL Italian serves four signature pizzas, including the Piccante (left) with spicy sausage, sopressata picante and calabrian chili paste, and the Bianca with thinly sliced mortadella topping the cheese. Giada De Laurentiis displays the margarita pizza with oven dried tomatoes, basil, mozzarella and parmigiano. Chitara, or a thick spaghetti with ridges, is coated with lemon and pea alfredo. 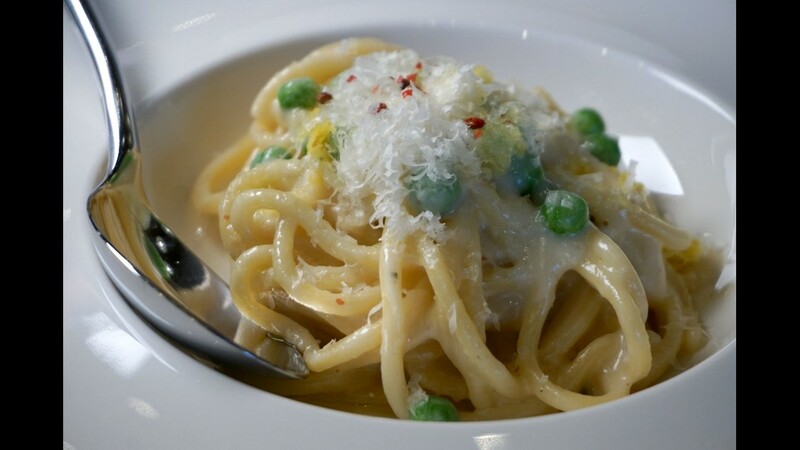 It is one of six pasta dishes at De Laurentiis’ Giada restaurant in Las Vegas. 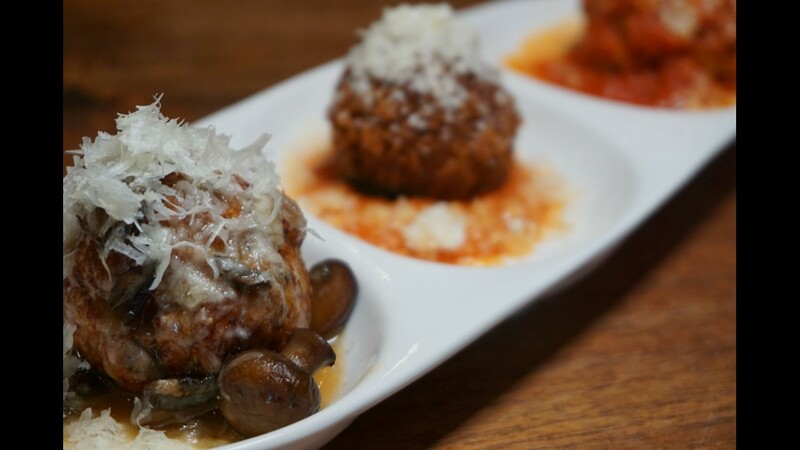 The meatball trio at GDL Italian features orzo, crispy turkey and chicken marsala meatballs. The classic Maryland seafood dish, rockfish, gets an Italian twist at GDL Italian. 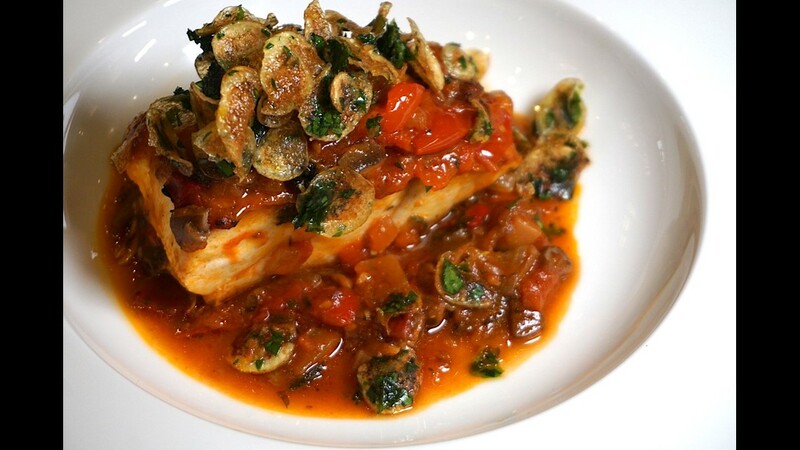 The rockfish cacciatore is topped with a potato chip gremolata. 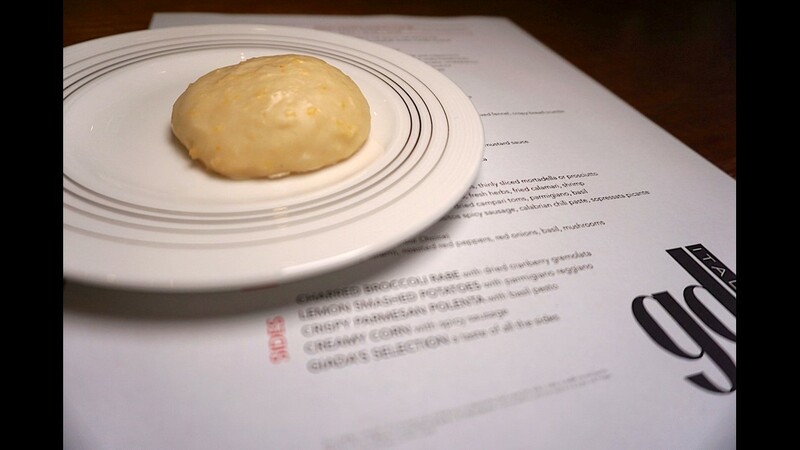 De Laurentiis' famous lemon ricotta cookies are among the dessert options at GDL Italian. 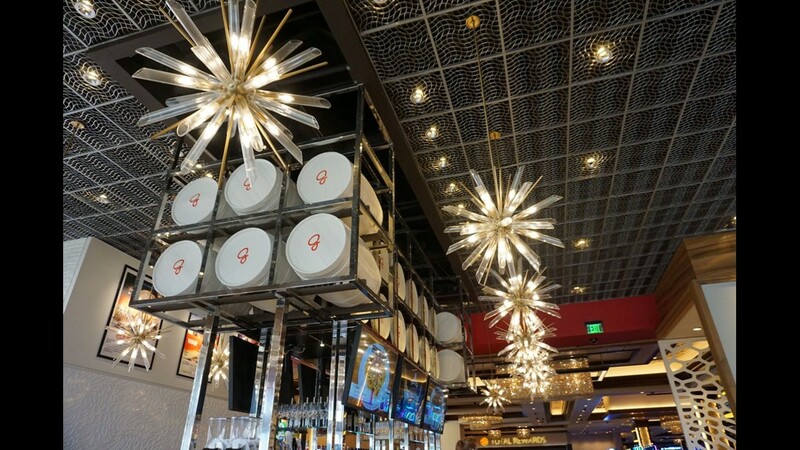 White barrels with Giada De Laurentiis’ signature “G” are displayed above the bar at GDL Italian. 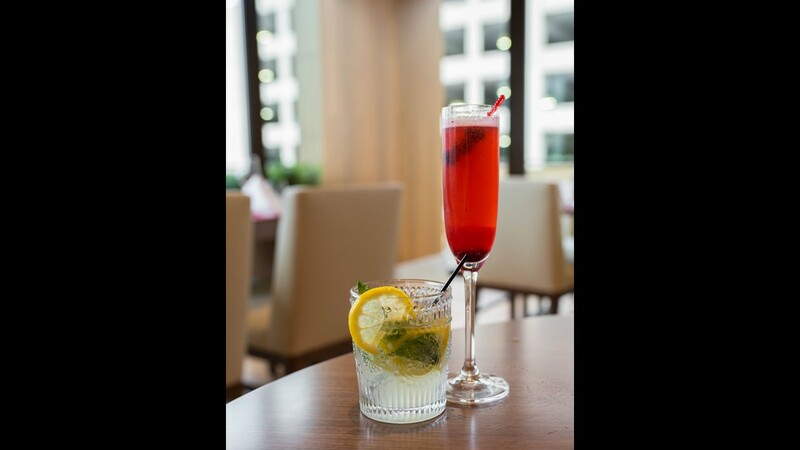 GDL Italian’s cocktails are named after movies made by the chef’s late grandfather, Dino De Laurentiis, such as The Tempest, with Grey Goose, St. Germain and mint (left), and The Rising, with prosecco and blackberry puree. 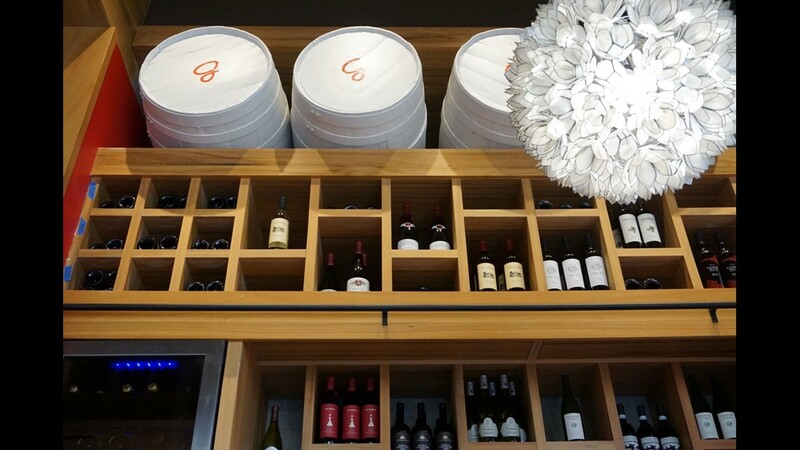 GDL Italian serves wine from more than 100 labels, with an emphasis on Italian and Californian wines. 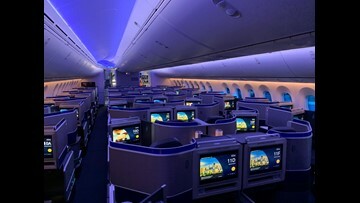 GDL Italian can seat 40 on its patio. 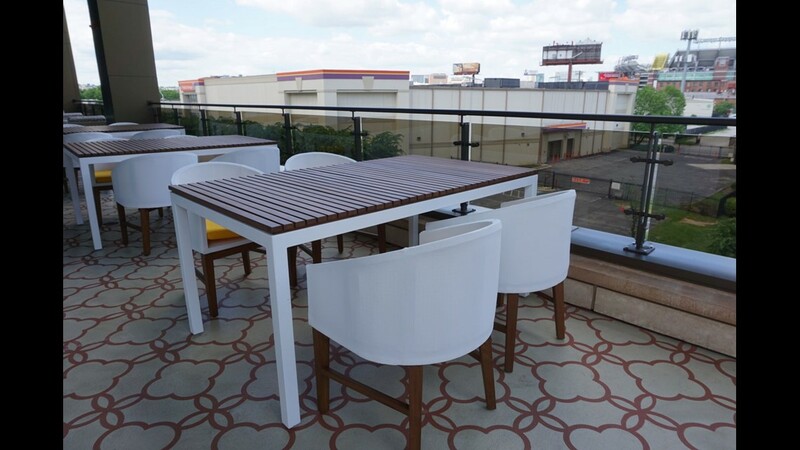 Some diners can get a glimpse of M&T Bank Stadium. 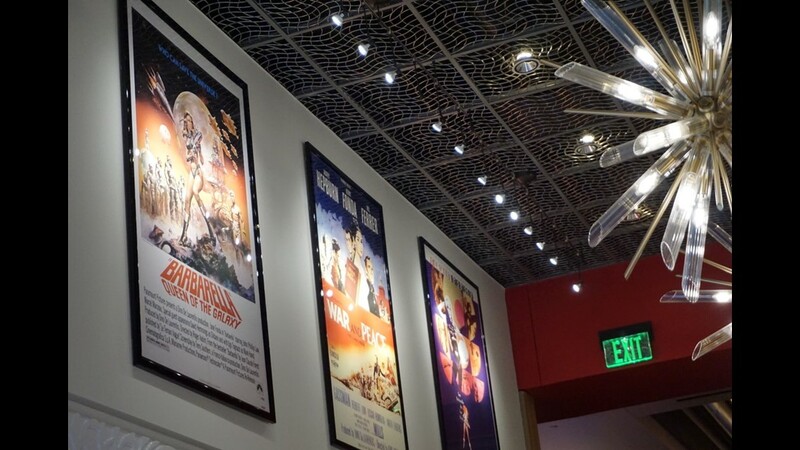 Inside at GDL Italian, movie posters advertise films directed by Giada's late grandfather, Dino De Laurentiis. 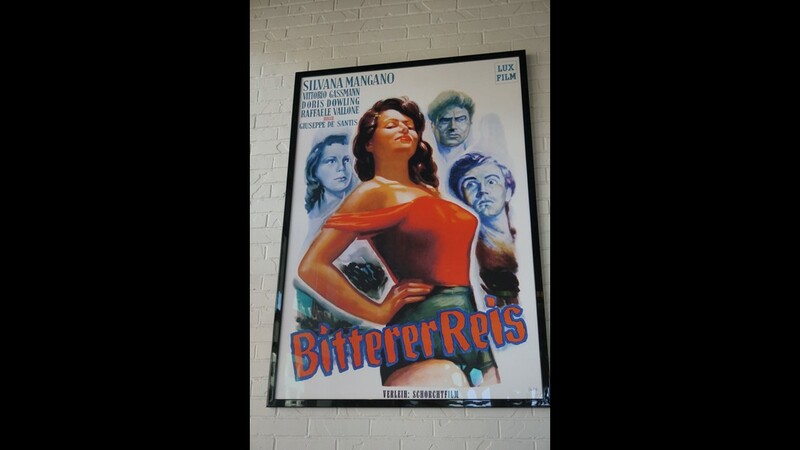 A poster for 'Bitter Rice' features the chef’s late grandmother, Silvana Mangano. 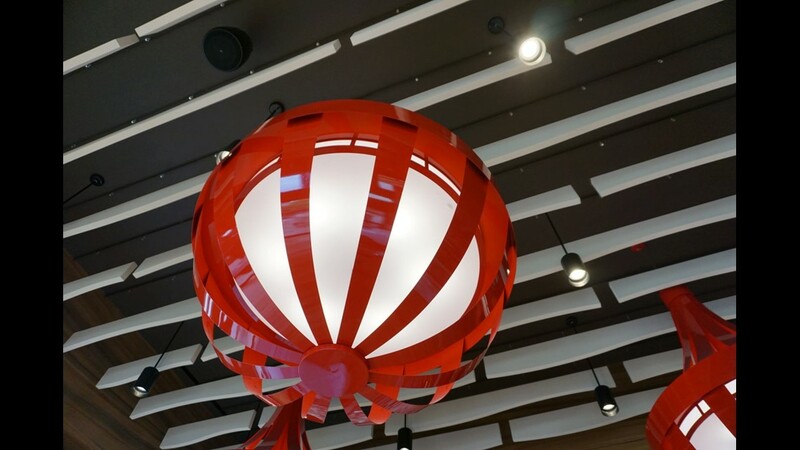 Red accents are displayed throughout GDL Italian as in other restaurants from the chef who favors the color. 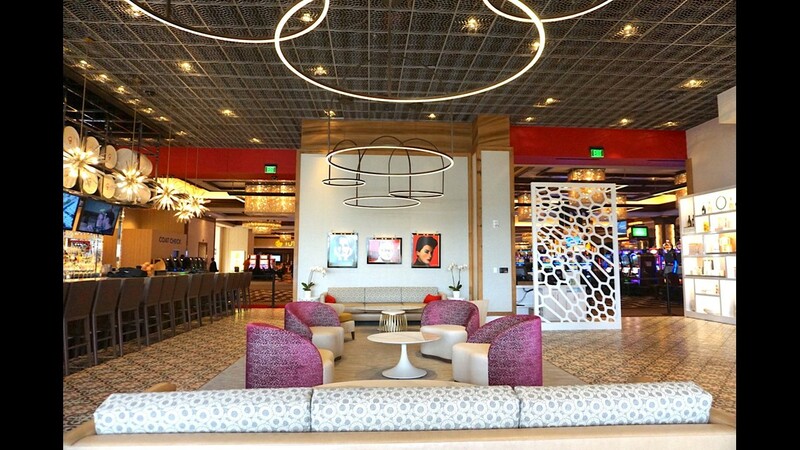 An interactive design element at GDL Italian is a photo booth lounge. 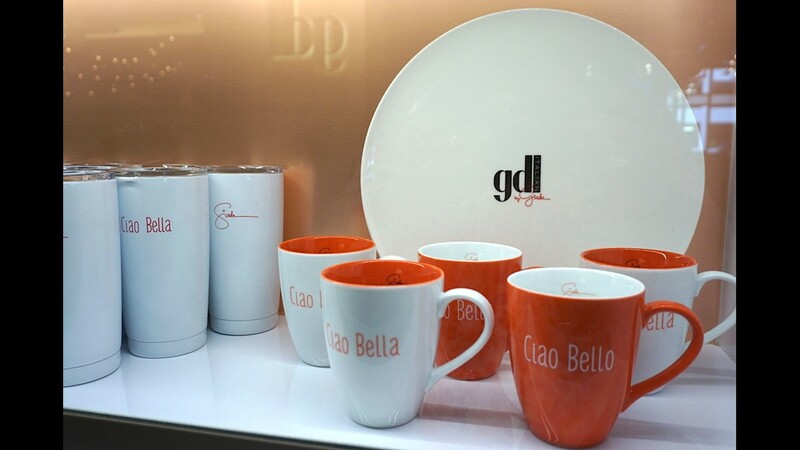 GDL Italian sells cookbooks, mugs, plates and other branded items from the TV chef. 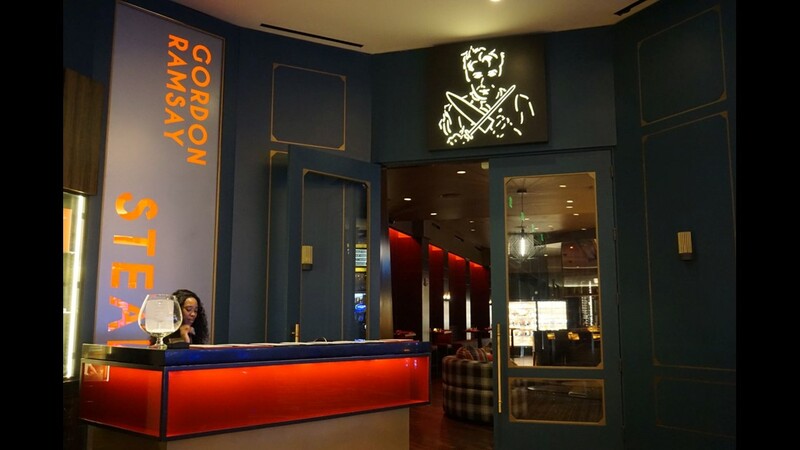 The entrance to Gordon Ramsay Steak features the salty chef wielding a kitchen knife. 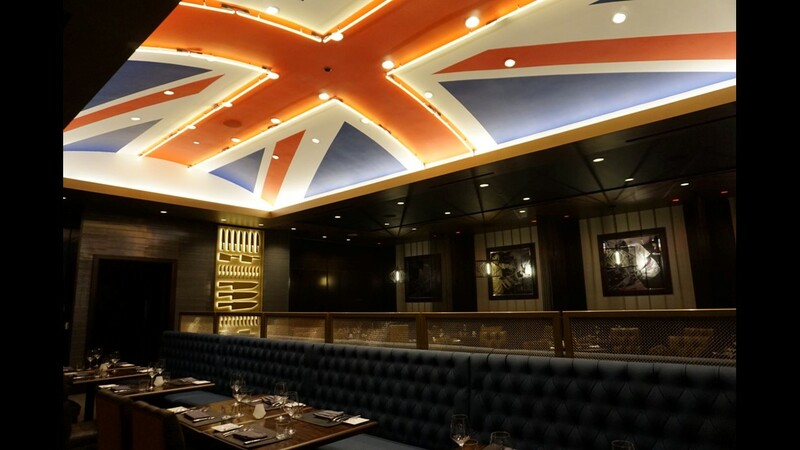 The dining room at Gordon Ramsay Steak features an illuminated Union Jack flag on the ceiling. 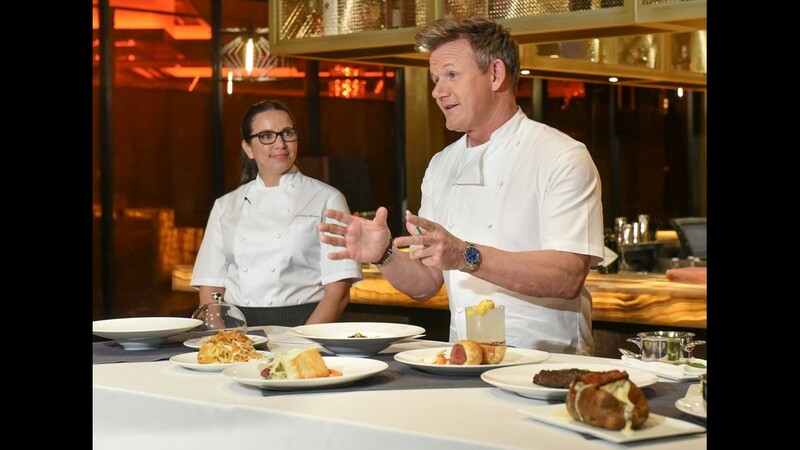 Gordon Ramsay shares some of the dishes at his Baltimore steak and seafood restaurant. 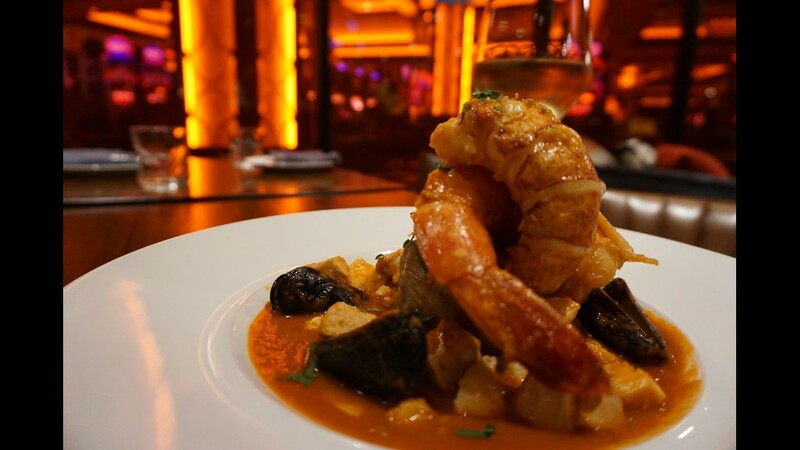 Gordon Ramsay Steak serves cioppino with lobster, mussels, crab, shrimp, clams and seasonal fish. 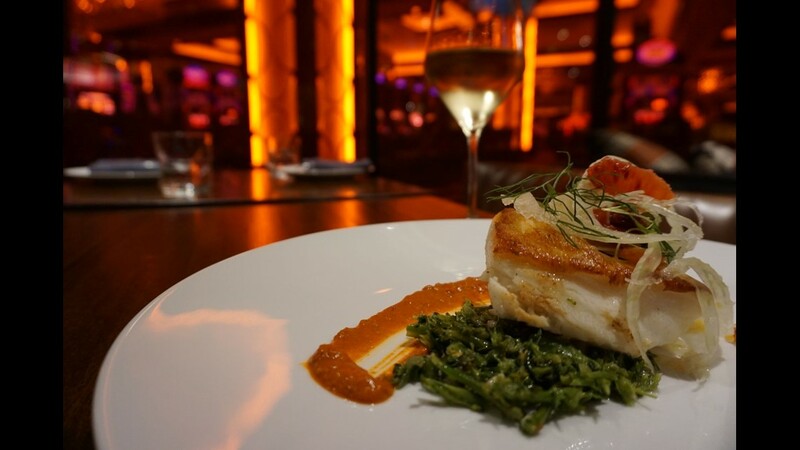 The sea bass at Gordon Ramsay Steak is served with broccoli, romesco sauce, fennel and blood orange. 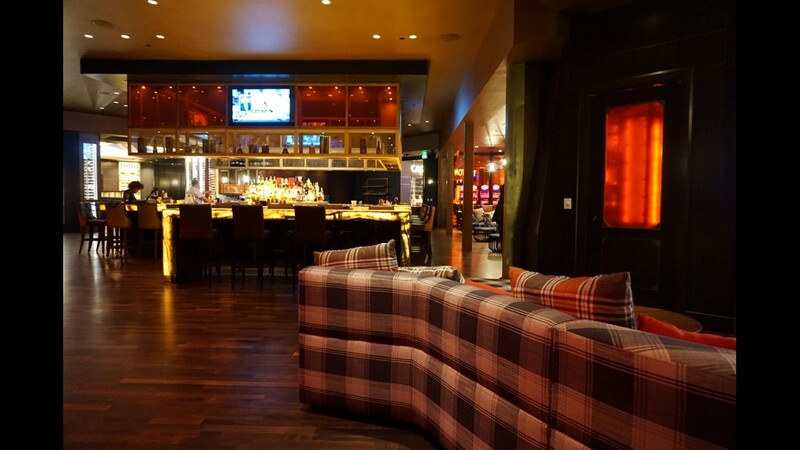 The lounge and bar area of Gordon Ramsay Steak features a plaid couch and illuminated bar counters. 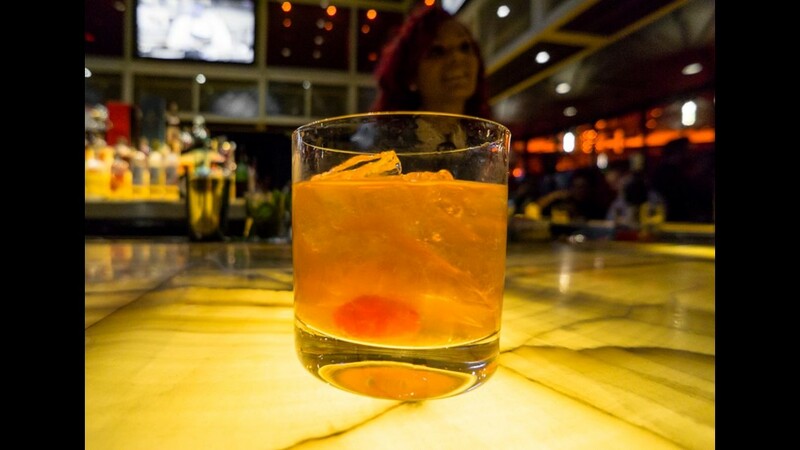 A bartender whips up an Old Fashioned at the Gordon Ramsay Steak bar. 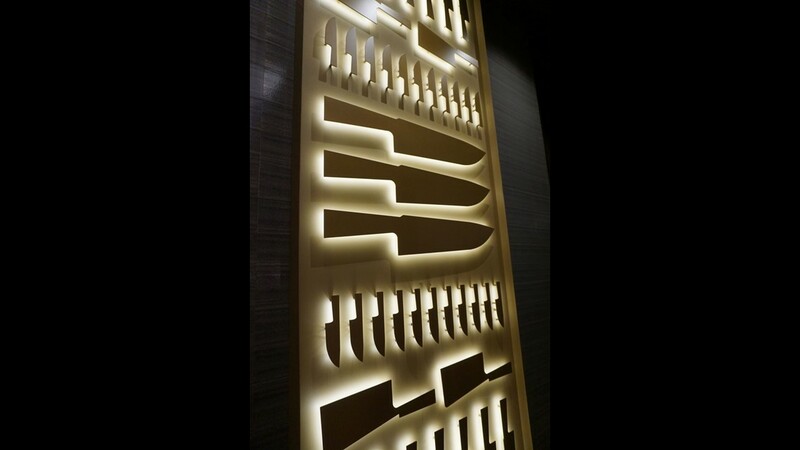 Gordon Ramsay Steak's design entails a backlit display of kitchen knives. 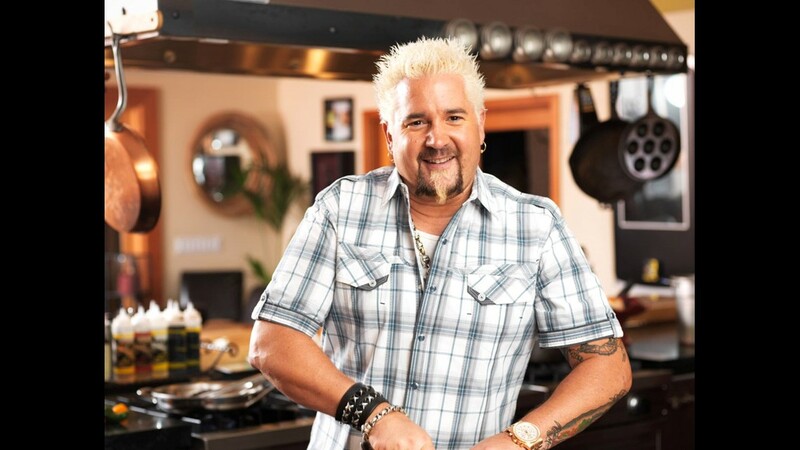 Food Network star Guy Fieri debuted Guy Fieri Kitchen + Bar in 2014 when the Horseshoe Baltimore opened. 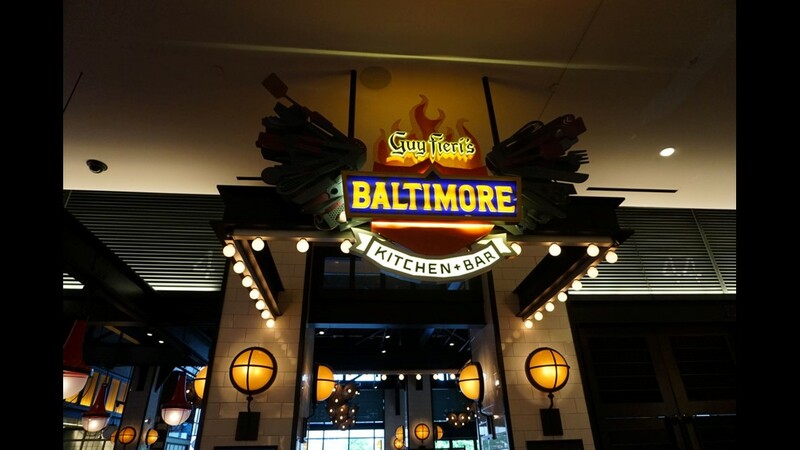 Guy Fieri’s Baltimore Kitchen + Bar is open daily for lunch and dinner, with late-night dining. 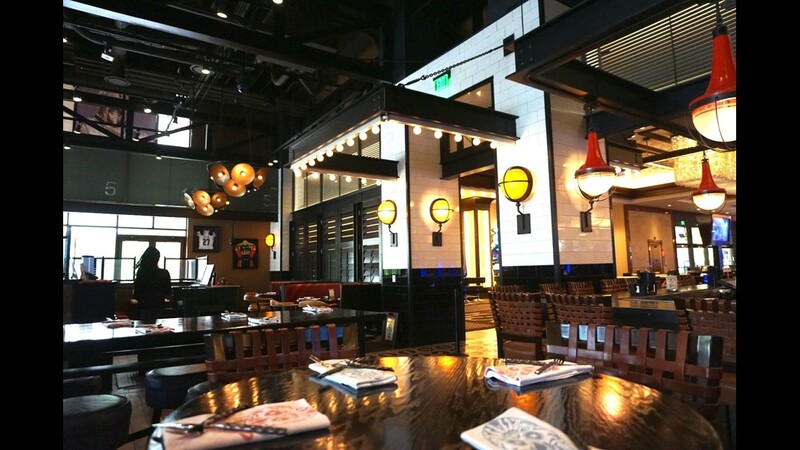 Guy Fieri Baltimore Kitchen + Bar features the chef’s trademark skull napkins. 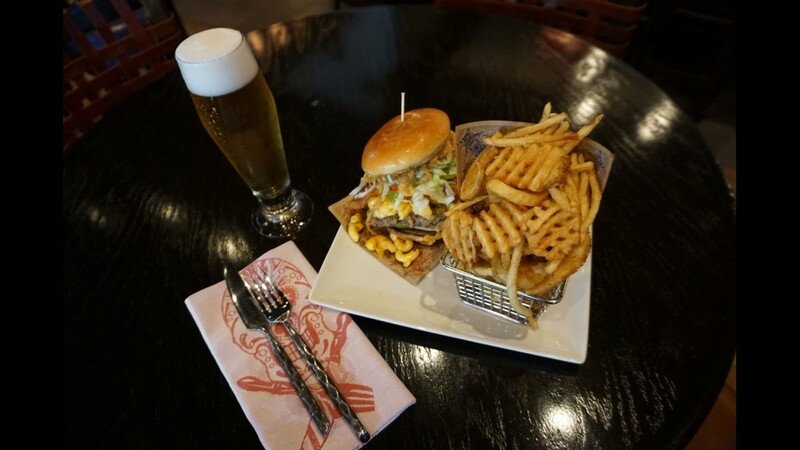 Guy Fieri’s award-winning burger is topped with crispy onions and smoked bacon. 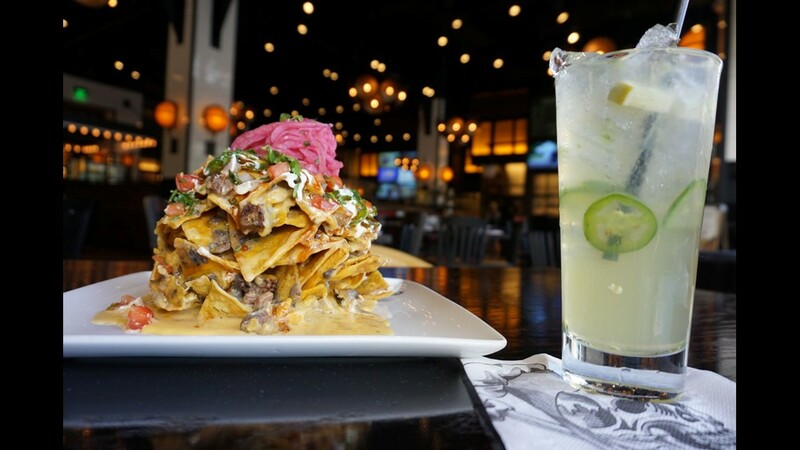 One of Guy Fieri’s most popular dishes, the trash can nachos, tops tortilla chips with smoked brisket, cheddar, jalapenos, pickled red onion and pico de gallo. 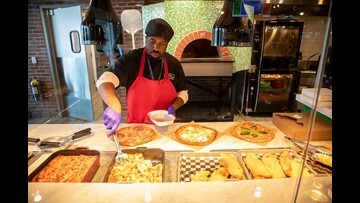 Pizza, deli sandwiches and a barbecue joint from Guy Fieri are among the quick bite options at Horseshoe Baltimore. 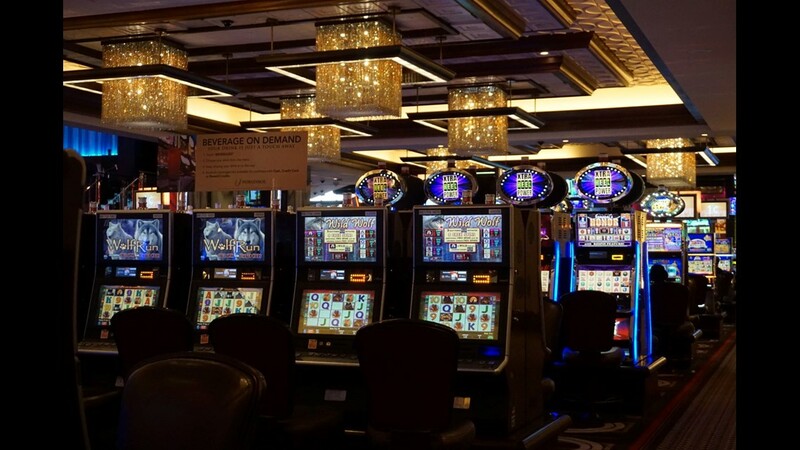 Horseshoe Baltimore casino boasts more than 2,200 slot machines, from penny games to $500 slots. 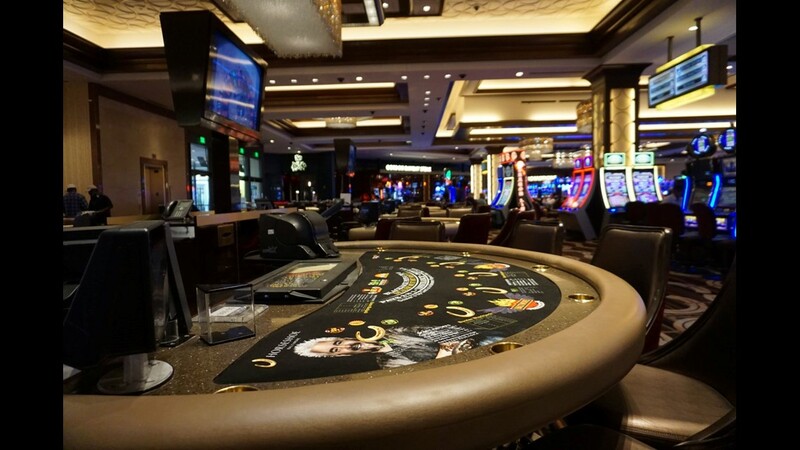 Table games at Horseshoe Baltimore casino include baccarat, poker, blackjack, roulette and craps.